People who remain in bed for long hours tend to develop bed sores also known as pressure ulcers which are not only painful but can lead to infection and other complications. The main reason for bed sores is the constant contact of the body to the bed in combination with friction, humidity, temperature, continence, medication, shearing forces, age and unrelieved pressure. The most common areas affected are bony or cartilaginous areas, such as the elbows, knees, ankles and the base of the spine and the upper and back part of the pelvic cavity. If they are noticed early, they are treatable. Active airbeds with pumps such as this one help in the prevention of bed sores. The bed is to be used on top of a regular mattress. 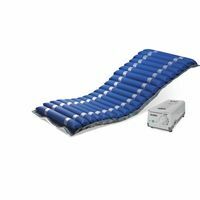 The air bed contains air cavities which fill up alternately in a 5 - 6 minute cycle. This results in the weight of the body being borne by different parts of the mattress at different times, ensuring that no part of the body is constantly in touch with the mattress. 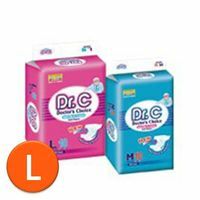 This allows for proper air circulation to all parts of the body and prevents the formation of bed sores. The entire assembly consists of one thin mattress (which can be washed if required), tubes and an air pump that works on electricity. If you have anyone at home who is bed-ridden, this is a must have. People who remain in bed for long hours tend to develop bed sores also known as pressure ulcers which are not only painful but can lead to infection and other complications. The main reason for bed sores is the constant contact of the body to the bed in combination with friction, humidity, temperature, continence, medication, shearing forces, age and unrelieved pressure. The most common areas affected are bony or cartilaginous areas, such as the elbows, knees, ankles and the base of the spine and the upper and back part of the pelvic cavity. If they are noticed early, they are treatable. 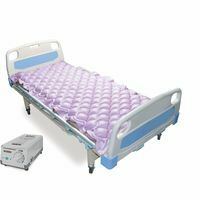 Active airbeds with pumps such as this one help in the prevention of bed sores. The bed is to be used on top of a regular mattress. The air bed contains air cavities which fill up alternately in a 5 - 6 minute cycle. 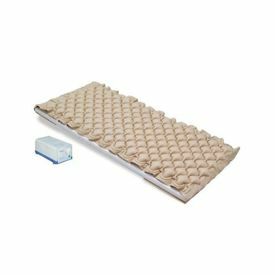 This results in the weight of the body being borne by different parts of the mattress at different times, ensuring that no part of the body is constantly in touch with the mattress. This allows for proper air circulation to all parts of the body and prevents the formation of bed sores. The entire assembly consists of one thin mattress (which can be washed if required), tubes and an air pump that works on electricity. If you have anyone at home who is bed-ridden, this is a must have.